Master bedroom curtains/sheers, Bedroom 1 curtains/sheersPublic Remarks Set on a quiet street in sought after Polson Park. Featuring large mature 60ft lot, 3 bedrooms and finished basement! Bright living room with picture window, hardwood flooring and gas fireplace. Kitchen with built-in appliances, updated flooring and countertops open to dining nook with patio door to rear sun room. 3 bedrooms up plus updated 4-piece bathroom with ceramic tile floors and granite counters. Finished lower level offers large rec room with gas stove, ample storage and laundry. Large deck at rear off sun room to fully fenced rear yard with large mature trees. Updates include: Roof shingles 2017, Sewer line to sidewalk 2017, Paved driveway 2017, Furnace 2012 and most windows updated. 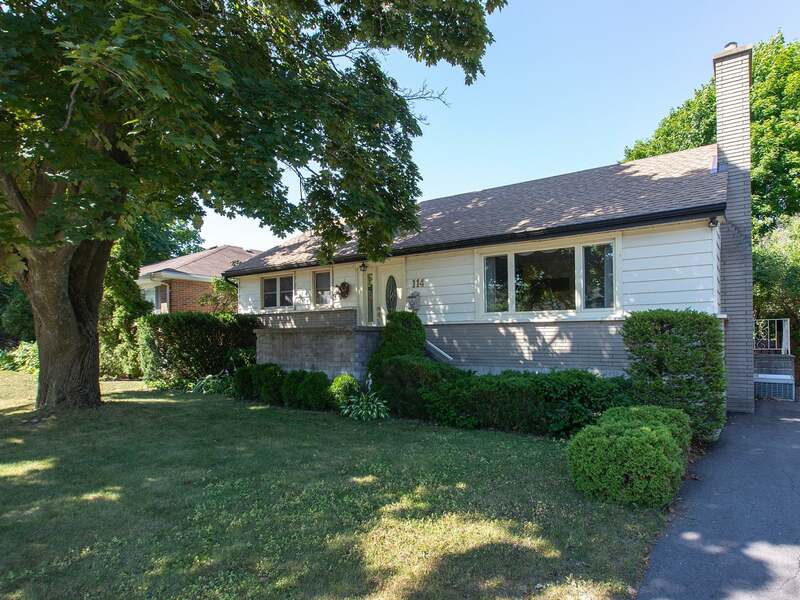 Centrally located in Kingston and steps from great schools, parks and shopping. Lot Size 60 x 101 Sq. Ft.